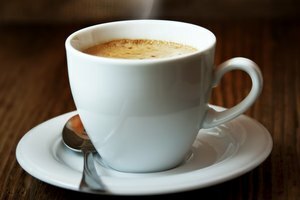 People are divided over the issue of which brewing method produces the best cup of coffee: a percolator or drip brew machine. 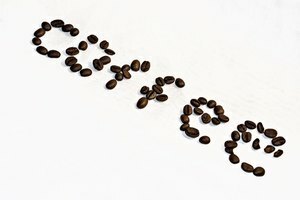 Percolated coffee can taste more bitter and contain less caffeine, but many people prefer it over drip coffee. The best way to choose is to taste both and let your palate decide. Percolator refers to the type of pot used to brew the coffee. A percolator causes the water to pass through the coffee grounds to extract flavor, color and aroma from the grounds to produce a pot. There are two types of percolators to choose from. The first contains a heating element that boils the water and then forces it, under pressure, to pass through the coffee grounds and into another chamber. You then pour the brewed coffee stored in this chamber. The second type continuously cycles boiling water through the coffee grounds with gravity, not under pressure, to produce coffee. 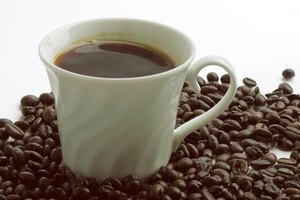 Drip brewed coffee uses a filter and the hot water (not quite boiling) drips over the coffee grounds in the filter, resulting in coffee that contains more caffeine and, arguably, flavor. The strength of the coffee is determined by the amount of water relative to the amount of grounds, plus how fine the grounds are. Ideally, coffee should be brewed with water just below the boiling point, but percolators typically use boiling water to brew the coffee. Percolators also recirculate brewed coffee so the aroma coming from the percolator is enticing, but the coffee itself is considered by some to be less flavorful. Drip coffee machines have more parts, especially when a permanent mesh filter is used, and is therefore more time consuming to clean. Count Rumford, born Benjamin Thompson in 1753, was an American soldier and scientist who invented the percolator while acting as Minister of War for the British elector of Bavaria. However, it was James Mason who got the first U.S. patent for the percolator in 1865 and Hanson Goodrich, a farmer, who got the patent for the stove-top percolator in 1889. Goodrich's stove-top design could turn any coffee pot into a percolator. America's attachment to the percolator didn't fade until the 1970s when the drip brew coffee machine was introduced.